A loan defeasance/prepayment is a borrower right per their loan documents. As long as borrowers execute the proper process, their defeasance cannot be declined by their lender/Servicer. The defeasance process itself can be closed in as little as 4 days, but can take up to 30 on larger transactions. The average transaction requires 2-3 weeks, and many Servicers charge expediting fees for transactions processed in fewer than 20 business days. 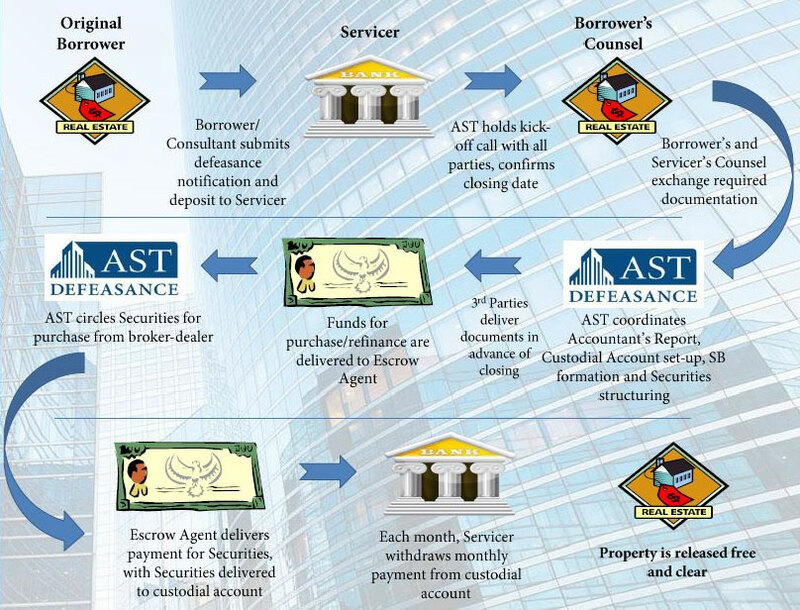 Throughout the transaction, AST Defeasance manages the communications among all third parties, and will perform many processes behind the scenes including preparation of the defeasance portfolio, the accountant’s verification report and custodial account set up.